Hundreds of people spent their Saturday morning helping the environment by taking part in the Creek-to-Bay Cleanup. The event was sponsored by Earth 8 and I Love a Clean San Diego. 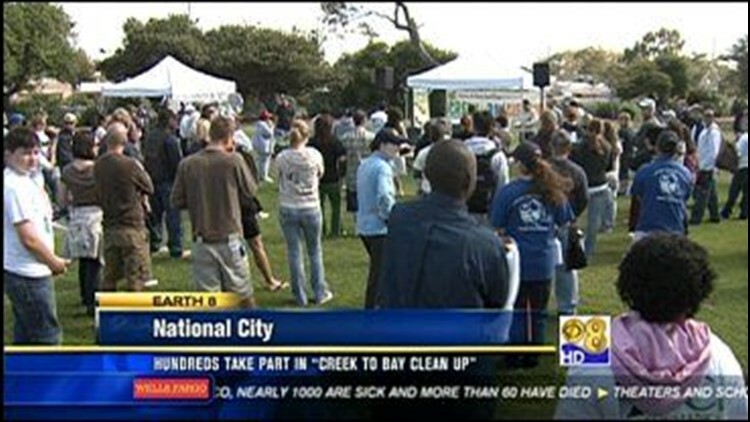 The cleanup at National City's Southcrest Community Park was just one of more than 60 cleanup events along the coast and inland. News 8's Carlo Cecchetto and Natasha Stenbock joined the volunteers in making a positive difference for the environment. More than 350 volunteers picked up more than 5,000 pounds of trash from Southcrest Park.